Background: Membrane proteins integrated into the lipid membranes of trafficking vesicles follow an elaborated road to arrive to their destination where they perform their tasks. Precise intracellular routing is especially critical and visible in case of PINs, the transporters for the plant hormone auxin that need to be delivered to one side of the cell to perform the directional auxin export important for plant development. To maintain their polar distribution, PINs shuttle constantly in the vesicles between the plasma membrane and endosomal compartments. Major regulators of vesicles formation and thus protein trafficking in eukaryotic cells are ARF proteins and their activators ARF-GEFs. Deeper understanding of complex subcellular trafficking can be gained by modulating the function of regulatory proteins such as ARF-GEFs by small chemicals that bind to them. Question: ES4 was found to change the polar plasma membrane localization of PINs from the basal to the apical cell site. To understand the mechanism underlying this spectacular ES4 effect, we investigated in detail, which intracellular trafficking pathways were affected by ES4 and what its molecular target is. Findings: We identified ES4 based on its effect on the polar distribution of ectopically expressed PIN1 in the root epidermis cells. Analysis of ES4 effects using battery of intracellular compartment fluorescent marker lines in the model Arabidopsis revealed that ES4 affects all major subcellular trafficking routes suggesting that it targets some important, general trafficking regulator. 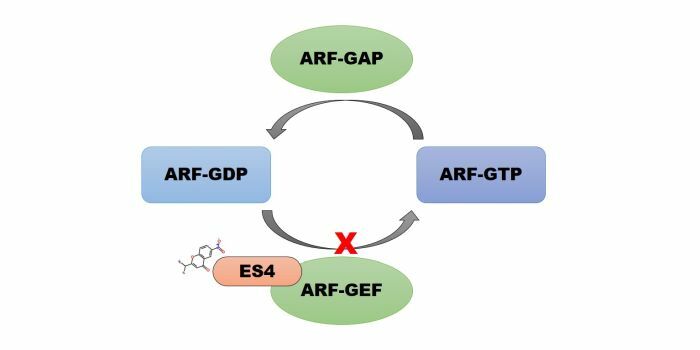 Genetic analysis revealed that a root growth in mutants defective in different ARF-GEFs shows a changed sensitivity to ES4 narrowing our efforts to the ARF/ARF-GEF machinery. Biochemical approaches showed that ES4 directly binds a subset of ARF-GEF proteins, which contains an evolutionary conserved SEC7 domain. Accordingly, ES4 was effective not only in plants but also in other eukaryotes such as yeast. Next Steps: A major outstanding question is the structural basis of ES4 inhibition of ARF-GEFs. Knowing where exactly does ES4 bind and how it inhibits ARF-GEFs’ activity would greatly aid our understanding about its action mechanism and specificity. Urszula Kania, Tomasz Nodzyński, Qing Lu, Glenn R. Hicks, Wim Nerinckx, Kiril Mishev, François Peurois, Jacqueline Cherfils, Riet De Rycke, Peter Grones, Stéphanie Robert, Eugenia Russinova, and Jiří Friml (2018). Endosidin 4 inhibitor targets the SEC7 domain-type ARF-GEFs and interferes with subcellular trafficking in eukaryotes. 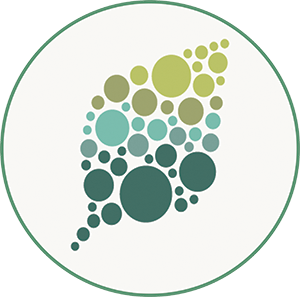 Plant Cell 30: 2553-2572 https://doi.org/10.1105/tpc.18.00127.